Game developers seem to be constantly trying to reinvent or leave their unique mark on a genre. Just look at how recharging health has spread in first person shooters, or dynamic cover systems in third person action games. It’s a sign of progress, with each game building on the good ideas and foundations of those that have come before it to strive for greatness. StarCraft 2 does not believe in progress. It looks at all the advances in the RTS genre since the original’s 1998 release – unique hero units, dynamic cover, simplified resource gathering, complex hit boxes – and goes completely the other way. This is Tychus. He is awesome. This is what we’d imagine an RTS would be like if the developers had been shut away from the outside world for the last ten years. Lots of base building? Check. Mass unit production? Check. Resource gathering? Double check. We suspect the launch party may have been marred as bleary eyed coders and play testers stood open mouthed at the news of the first black president, a decade of the war on terror and the death Michael Jackson. Yet while these creaking, aged game mechanics have been increasingly abandoned or altered as time’s gone on, Blizzard has somehow taken the old, tired recipe from the shelf and whipped up a game of simply awesome quality. The experience starts from the very second you start installing the game. With twelve years having passed since the original was released, some younger players won’t have a clue what's gone before in this game's universe, so we’re treated to a plot-re-cap as the progress bar teases its way forwards. 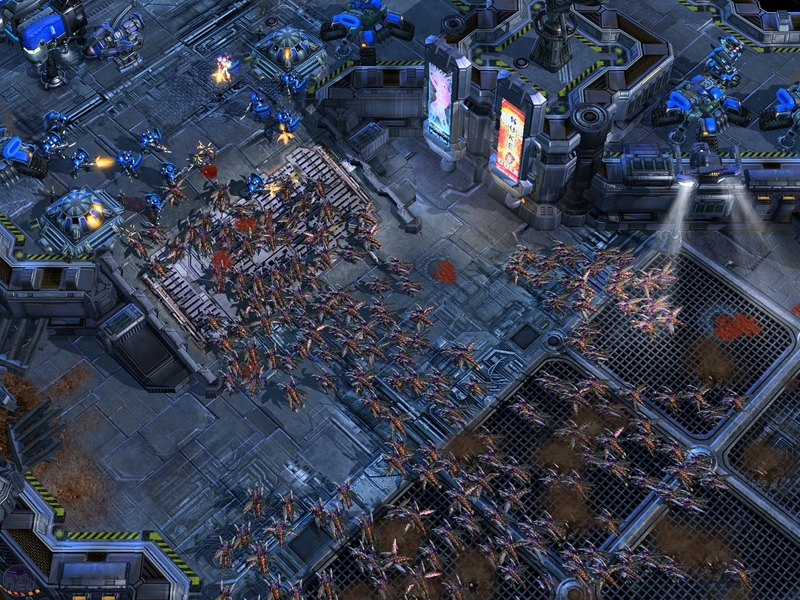 It’s needed too, as the StarCraft universe is seriously ambitious in its plot and storyline. Rebels, two alien races, emperors, billions of casualties, love, loyalty, loss and betrayal – and that’s before the game’s even installed. Managing such a complex and varied plot would be a challenge for any game, let alone a conventional RTS, where the player’s connection to their units is so difficult to forge and the gameplay itself tends to jump from mission to mission. StarCraft 2’s solution is to give players a whole lot more to do in between levels than customise load-outs or pick the next target. With the player in the role of rebel space rogue commander type Jim Raynor, you’ve got a whole battlecruiser at your disposal and there’s plenty to do aboard when not splatting alien bug monsters or trying to overthrow governments. Downtime is spent between four areas of the ship, conversing with the crew in a point and click style, buying upgrades for units, researching new technologies, hiring mercenaries, listening to Lynyrd Skynyrd cover bands on the bar’s jukebox, watching the “fair and balanced” news or even playing on the bar’s excellent shoot-‘em-up mini game, Lost Viking. 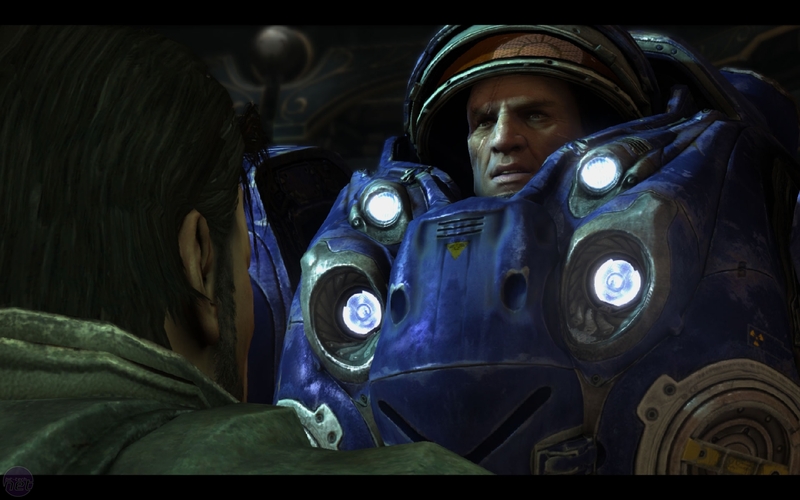 It all subtly deepens your involvement in the game world and means that StarCraft 2 rarely suffers from plot update overload or the feeling of mission to mission grind. There’s always something new to see or hear and some of the game’s best and funniest dialogue can be found on the decks of the ship or around the Cantina bar.